The Exchange to Office 365 Migration software enables users to transfer many mailboxes from the Exchange EDB files to Office 365. It is even possible to export the mailboxes in the respective MS office 365 user account via mapping option. 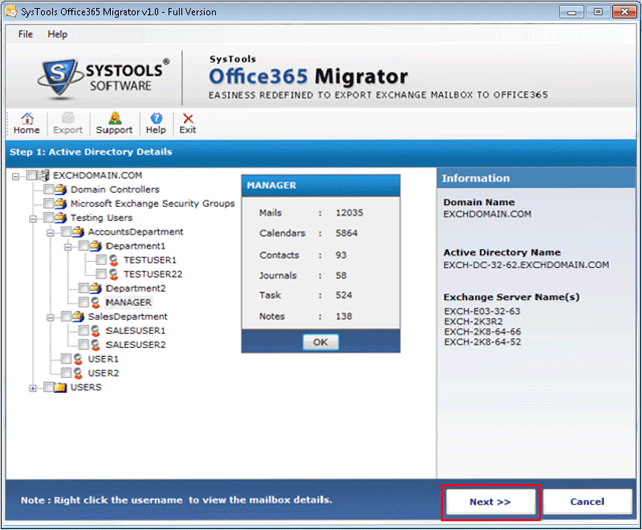 Once users launch the EDB to Office 365 migration wizard and opt for click export option, the tool easily loads active directory console of the Live Exchange Server. It presents the users with active directory details like all mailboxes, item count etc. The utility allows the users to transfer all the items from Exchange Database to Office 365 like mails, address books, to-do lists, notes and much more. Users can easily check/uncheck all the items and export selective items to Office 365 account. The program even generates log report of the export process performed. Users can even view the status of the process performed. 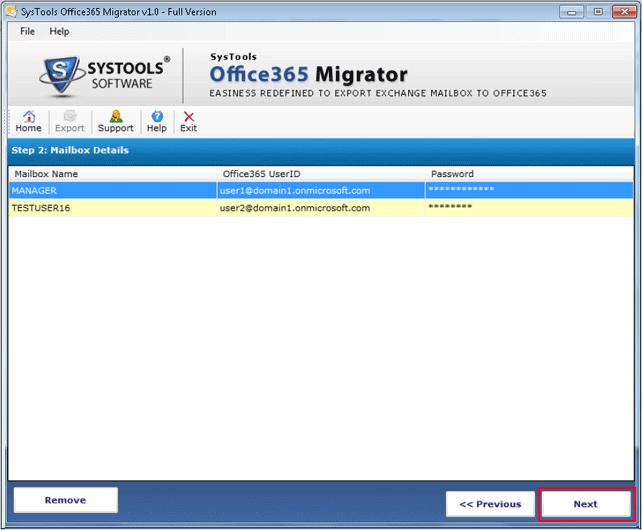 Easily use the tool in any Windows OS for Exchange to Office 365 migration process. While shifting from Exchange Database to Office 365 account, users can easily delete the unnecessary data from Exchange Server. 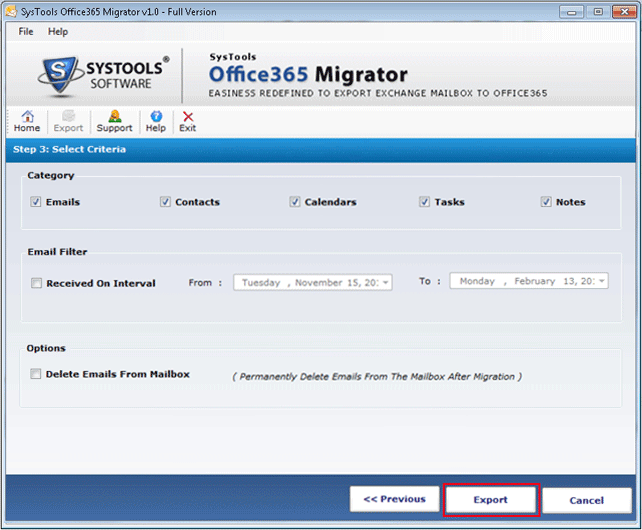 The Exchange to Office 365 migration tool provides the users with remove or permanently deletes mails option from Microsoft Exchange Server after migration. Users can even apply the email filter option. With this option, one can easily set the date range like To & From and will get the mails to be exported and afterward, users can perform the same. The tool is robust enough that it provides the users with detailed Report. The software is designed using a brilliant interface that makes it a stand-alone utility that makes it compatible in Windows Arena. Users can even save the entire report for future purposes. Using the Exchange to Office 365 migration software, users can easily import and save the data of one mailbox to desired Office 365 account. The mapping is done keeping Office 365 account credentials for the respective Exchange Mailbox. I have forgotten my credentials. Is it possible for me to export the mailboxes? No, the Exchange to Office 365 migration software does not allow the users to export Exchange mailboxes to Office 365 without the login credentials. Is the bulk exchange of files available while migrate exchange mailbox to office 365 using the EDB to Office 365 Migration Wizard? Yes, the Exchange to Office 365 migration software renders the users with an option for bulk export of files. You can easily transfer multiple files from Exchange Database to Office 365 account at a time. Is the tool able to export Exchange 2003, 2007, 2010, 2013, 2016 mailbox to Office 365 without any hassle? Yes, the EDB to Office 365 migration software is capable of exporting all the Exchange Mailbox accounts to Office 365 without any issue. It supports all the versions of Exchange Server like 2003/7/10/13/16. 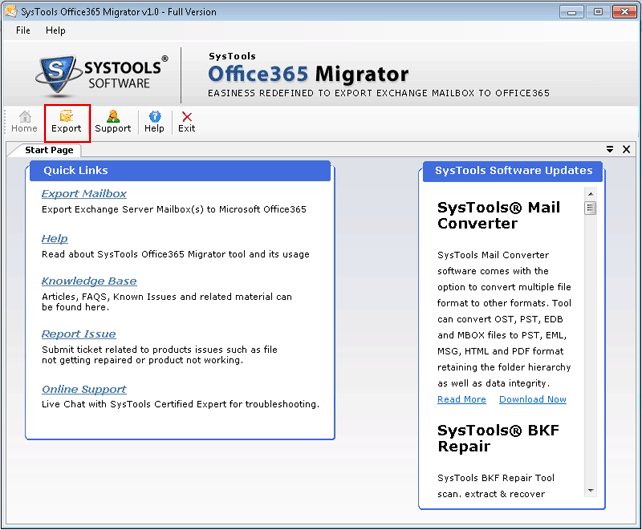 Is Live MS Exchange Server required while Exchange to Office 365 migration via software? Yes, it is necessary to have Live Exchange Server for EDB to Office 365 migration. The tool needs Exchange Server. Is the Tool compatible with all the Editions of Windows like the latter and newer ones? Yes, the Exchange EDB to Office 365 migration software is operable on all the versions of Windows despite any limitations. Does the software provide the users with an option to Empty the Exchange Mailboxes after migration from Exchange Database to Office 365? Yes, the Exchange to Office 365 migration tool provides the users with an option to empty Exchange Mailboxes after exporting them. "I have never come across such a tool in my entire life that considers the data as its integral part. I tried Exchange EDB to Office 365 software and output it generated was completely incredible, just out of the box. It’s amazing interface and compatibility works as a silver platter for this wizard! I must confess there must be sharp brains behind the incarnation of the program. A heartily Thanks for the Developers for such an effort. Kudos! for your work guys." 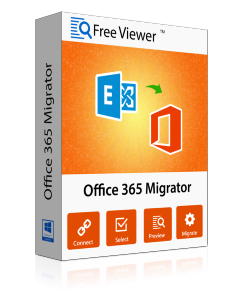 "I must say, a tool with amazing GUI, robust structure is what Exchange to Office 365 migration is. It performed my entire work in a just fraction of seconds. The utility can easily come for rescue if anyone is stuck in transferring the Exchange Mailboxes from Exchange Server to Office 365. The tool works in such a simple way that any non-technical person also can use it effectively. Thank you team! for your effort for developing the tool. Bravo Guys!"